The housing market across the country is experiencing an ongoing shortage of available housing inventory and it’s no different in Florida, where the latest data provided by Florida Realtors  reported a rise in median prices and an increase in new listings in January 2018. The study found that median sales prices in the Sunshine State’s single-family homes and townhouse-condo properties have continued to rise as January concluded 73 consecutive months of rising median sales prices. Statewide, single-family home sales totaled 16,564 in the month of January, down 1.3 percent when compared to January 2017 according to the Florida Realtors Research Department that compiled this data in partnership with local Realtor boards/associations. However, the statewide median sales price for single-family homes was $240,000, up 9.1 percent from 2017. Additionally, the median price for condo-townhomes was up 11.7 percent compared to the same period last year. Closed sales of condo-townhouses were up 5.9 percent in January 2018 from January 2017, totaling 7,634 sales. However, data for closed sales reflects foreclosures in January 2018 and fewer short sales. These short sales declined 32.5 percent for condo-townhomes and marked a 36.3 percent decline in foreclosures year over year. 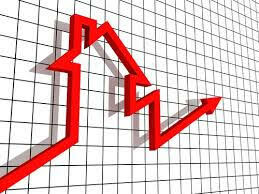 For single-family homes, short sales fell 46 percent and foreclosures on those homes dropped 43 percent year over year. Closed sales occur from 30- to 90- plus days after sales contracts are written. According to Florida Realtors, the for-sale inventory remained tight in January 2018 with a 3.9 months supply for single-family homes and a 5.9 month’s supply for condo-townhouse properties.